Shipping was so easy... Pack and clean Robin, throw her on a trailer, and head off to the shipping place. There all I needed to do was swipe the credit card, sign my life away, and then leave her in there in their so called careful hands to crate and send over to Auckland. WELL, little did I know, it isn't that easy. March 5th I learned that the individual crate had finally made its way out of the big shipping container, and that my lovely blue Tiger was on its way to the shipping receiver... which still doesn't mean I can get at it or even start the customs documents or inspections needed to get Robin reassembled and on the road. After daily emails back and forth, and a few curt phone calls, I eventually learned that starting March 8th I would be able to begin the process of freeing Robin from the shipping coffin. March 7th rolls around, and thank god I had a friend to drive me around for the first while. First good news of the day, they can do it in 15 minutes! 4:30pm - Back to the shipping receiver, all documents complete, and inspection passed! 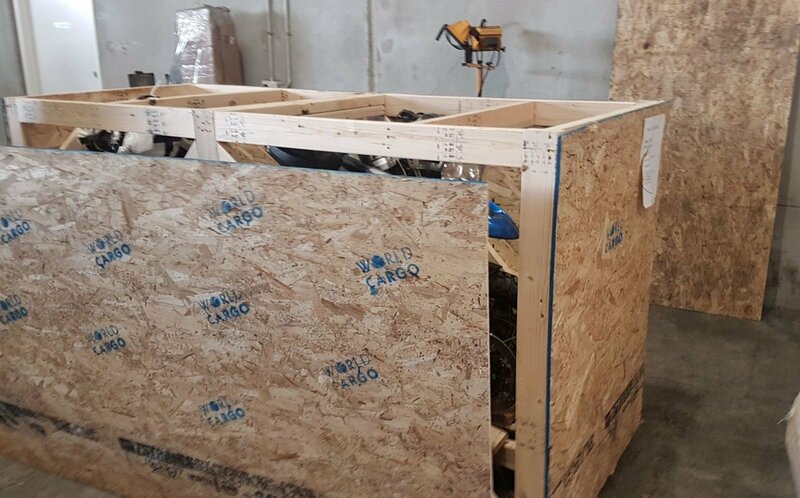 Swipe credit card, and get lead out to the customs holding area where my crate is... have 20 minutes to get unboxed, assembled, and out the door. 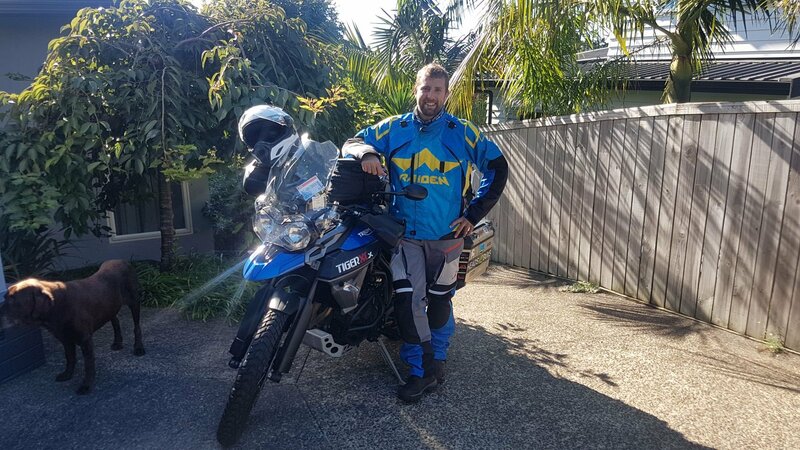 March 8th was a relatively easy day, as I rolled through and got my road permits for New Zealand (a Warrant of Fitness and paying a road toll levy) and was ready to roll out first thing in the morning March 9th! While the Shipping Receiver, CM Transport, was front and center for getting the bike free. They were actually fantastic and helped me through the process including helping me pull apart the crate and put the bike (partially) together. I couldn't recommend them more and they did a great job making up for the lapses in the shipper. 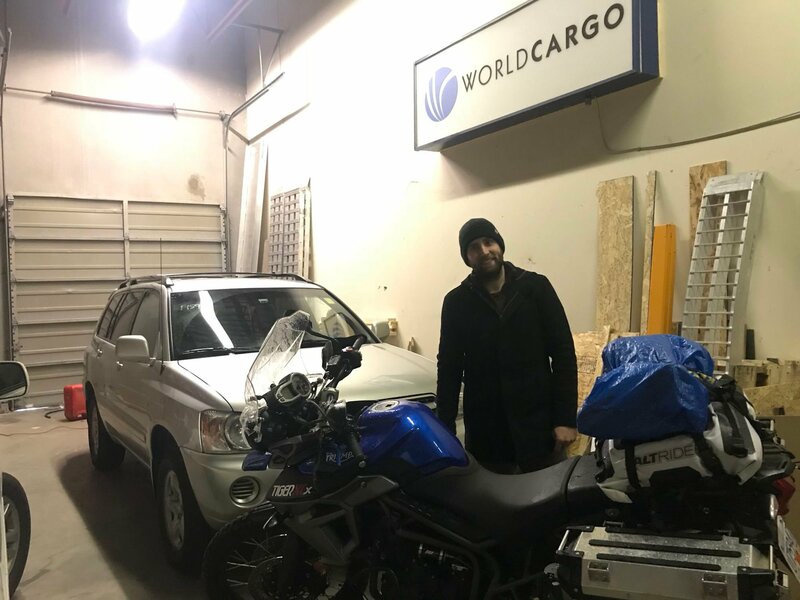 The Vancouver based shipping organizer, GoWorldCargo, were fantastic to deal with up front and very open. Unfortunately, their crating skills are either abysmal, or whomever was doing it was incompetent because the amount of things that were misplaced (and aren't valuable, just little things) was mind blowing. Once they handed off to the shipping company, then they became entirely out of the picture, but tried their best to keep me updated whenever I asked. Once I let them know of all the missing things they unfortunately did nothing and basically said 'too bad so sad'. The warning I wanted to put out is about the shipping company, Kalgin Global, who are entirely useless. The phone service is atrocious and they actually say things that are 100% incorrect, seemingly purposely misleading, and are counterproductive for getting your shipment through customs. Their shipping service was about 3 weeks late (on a 30 day journey so almost twice as long!). I would highly recommend avoiding them at all costs. The fine people at the shipping receiver also mentioned that they frequently get complaints as to the poor information distribution, incorrect scheduling, improper documentation, and just general unpleasantness from the people at Kalgin. For those looking into NZ, here's a cool factsheet! Considering a similar rental would be $160/day for long term rental, temporary import is worth the hassle after about 17 days!